We are delighted to have Shabnam Virmani back at Vana. 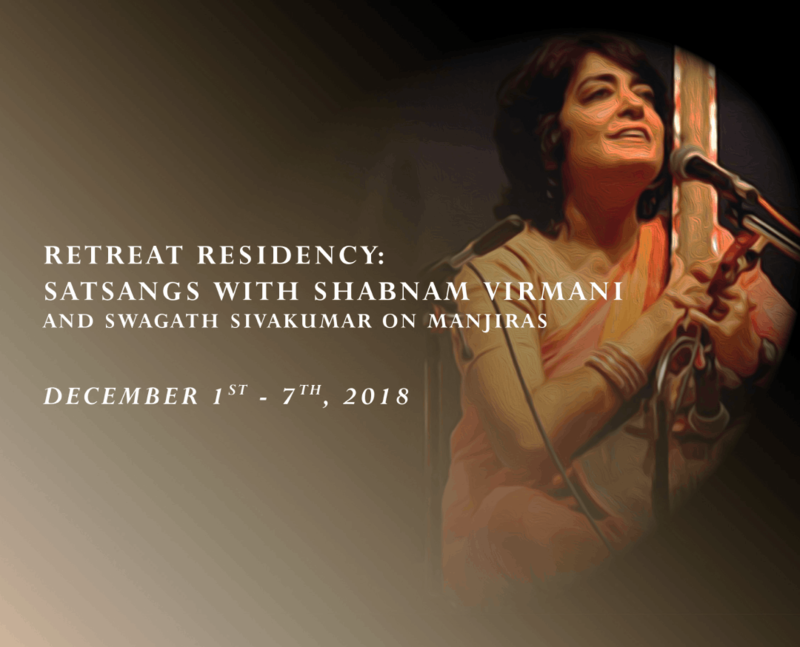 During her residency, she will be leading Satsang sessions in two parts. Shabnam will weave an exploratory dialogue between core ideas in Buddhism and the wisdom of Kabir and other mystic poets. Interspersing folk songs with the writings of the pre-eminent Tibetan Buddhist teacher Chogyam Trungpa, these immersive sessions will touch on: fearlessness and the path of the warrior; the nature of the mind and awakening; the reality of dukha or suffering; the possibilities of aloneness; calling out to the guru and the recognition of shunyata or emptiness. In these intimate gatherings, Shabnam will share folk songs of Kabir and other Bhakti, Sufi and Baul poets along with its interpretations. Shabnam Virmani is a filmmaker, singer and artist in residence at the Srishti Institute of Art, Design and Technology in Bangalore. Stung by the religious riots of Gujarat in 2002, she initiated the Kabir Project journeys in quest of the 15th century mystic Kabir, exploring how his poetry intersects with ideas of identity, religion, nationalism, impermanence and orality. Inspired by the spirit of Bhakti, Sufi and Baul oral traditions, the Kabir Project team has now been engaged for over 15 years in curating and re-expressing the power of this poetry through documentary films, music CDs, books, urban festivals, rural yatras, school workshops and a web archive called Ajab Shahar. You may find relevant documentary films being played on television channels in your rooms. To know more about the works of Shabnam Virmani, you may login to www.kabirproject.org; ajabshahar youtube channel.